Vocal microphone provides a brightened midrange and bass roll-off with frequency response to control proximity effect, a steel mesh grille for durability, a shock mount for low unwanted noise, and a neodymium magnet for high signal-to-noise ratio. Both are designed for vocal use and have a bright midrange and bass roll-off. The Beta 58A has increased sensitivity and high-end frequency response which results in a cleaner more detailed sound. 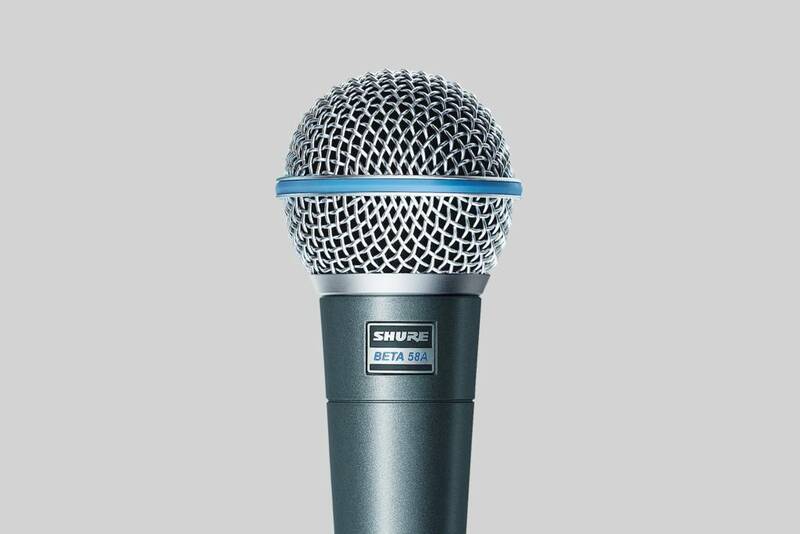 It also features a supercardioid polar pattern compared to the SM58’s cardioid, giving it greater unwanted sound rejection and more resistance to feedback. 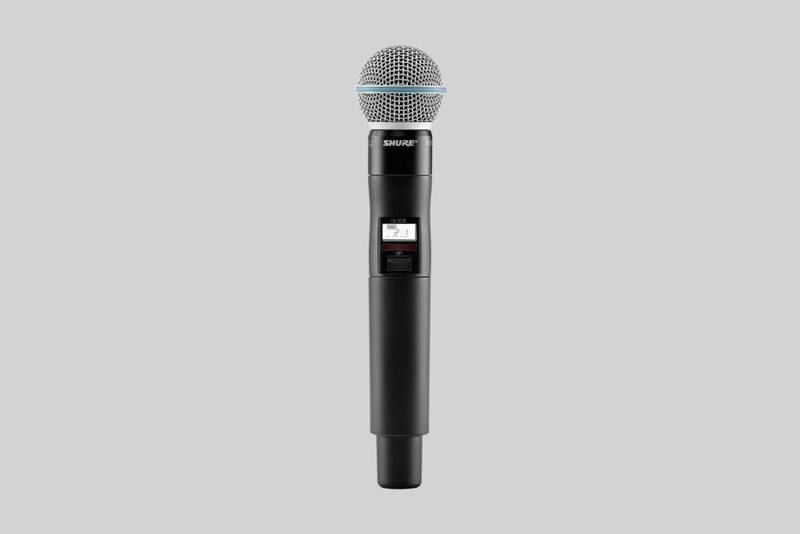 As a wireless microphone the Beta 58A is available in different wireless systems - analogue and digital. How does it differ to the Beta 57A? The form factor of the mics is different. The different grilles influence the frequency response resulting in a slightly different sound reproduction in the higher frequencies. In addition, the Beta 57A grille allows a little closer placement of the microphone cartridge, which translates to higher output, more gain before feedback, and a more bass response due to the proximity effect. How does it differ to the Beta 87A/C? The Beta 58 uses a dynamic element; the Beta 87 a condenser. That’s why they sound different. It will be a matter of personal preference, not a technical choice. Auditioning both at a Shure dealer is our best advice. Is there a version with a switch? No, there is no switch version available. You might want to have a look at the SM58SE which is an SM58 version that uses a switch. Is there a wireless version available? A Beta 58A head is available for all current Shure wireless microphone systems except for BLX and GLX-D.